Following a disjointed, vision-like structure, The Blind Owl is the nightmarish exploration of the psyche of a madman. The narrator is an ailing, solitary misanthrope who suffers from hallucinations, and his dreamlike tale is layered, circular, driven by its own demented logic, and punctuated with macabre and surreal episodes such as the discovery of a mutilated corpse, and a bizarre competition in which two men are locked in a dungeon-like room with a cobra. Initially banned in the author 's native Iran, the novel first appeared in Tehran in 1941 and became a bestseller. 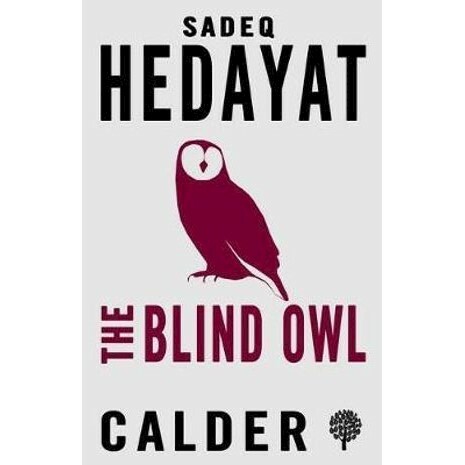 Full of powerful symbolism and terrifying imagery, this dark novella is Hedayat 's masterpiece.